We got away to the cabin this past weekend, and I brought along one of our favorite snacks - Smores Snack Mix! It's easy and the kids love it, and exponentially not as messy and sticky as traditional campfire smores. 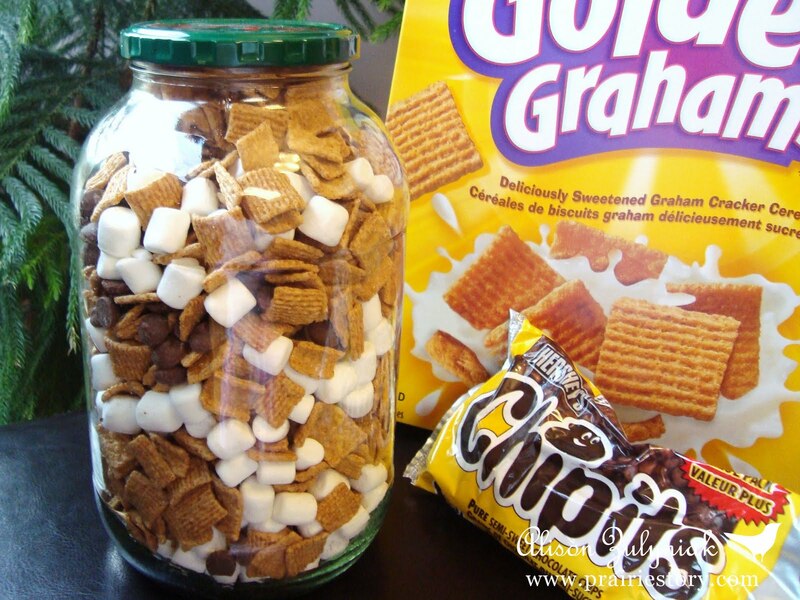 Don't make ahead of time too far in advance because the golden grahams will start to loose their crunch and the marshmallows will start to dry and harden. This is awesome, I'm going to make this for a graduation party this weekend! Thanks!